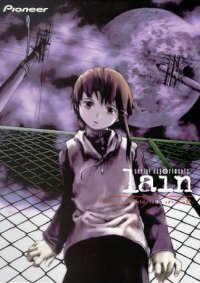 In a world increasing integraded with, Lain is an oddity who chooses not to involve herself with them (or anything else for that matter). That changes when she gets an email from a dead classmate. 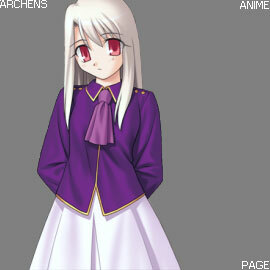 It states she abandoned her body, and now lives within the wired world. What is the wired world, and if we could abandon our bodies, then what exactly is the real world. For that mtter, which world is real? 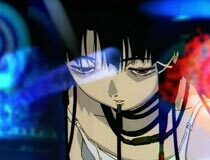 Lain becomes more involved with the wired world to learn the truth. Upon release Serial Experiments Lain was heralded to be an incredibly deep and philosophical anime. I disagree, but some stand by that view. My biggest problem is this anime lies with the lead character Lain, who is as exciting as pouring salt on snails. Having done that as a kid, I can assure you that was far more interesting. Pouring salt on Lain would at least give her some flavor. I think the intent was to make her seem dull in real life, but I didn't take to the space case girl, supposedly discovering herself. Like Lain, the world itself feels mundane intentionally. Lets face it, reality isn't that exciting (if you're lucky). This anime isn't so much about the characters, nor even the story. 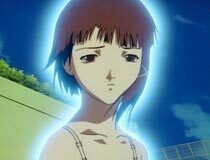 What drives Serial Experiments Lain is the philosophical theme pondering what is real and what is virtual. Other things attempt to make it feel "abstract", although I'd say it's more "trippy". Serial Experiments Lain is thought provoking if nothing else, but I didn't find it as deep as most people claim. While there's nothing distinct enough about this anime for me to recommend it, I'd still say it's a must see for anyone with a fetish for power lines.